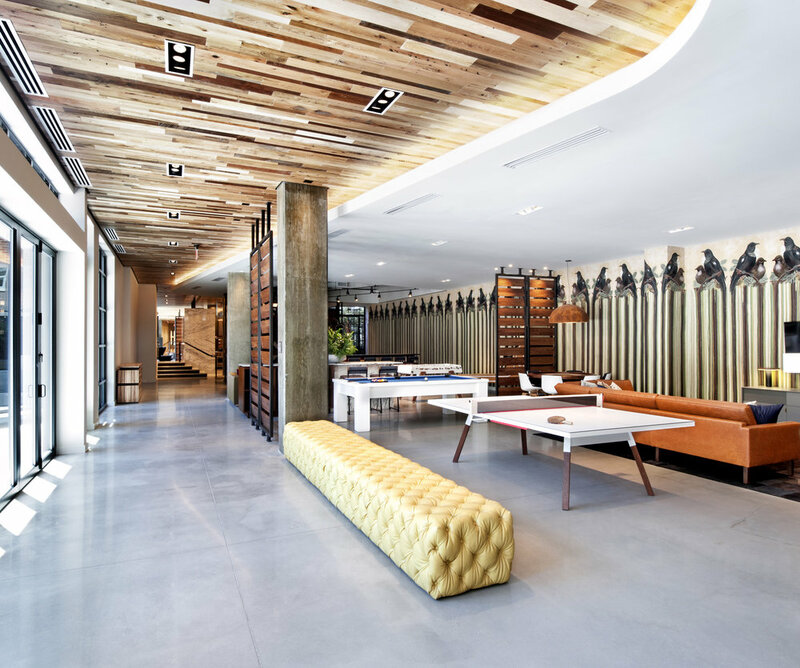 Station House redefines rental living in Washington, D.C. Setting a new standard for luxury amenities, this property embraces the industrial roots of the adjacent train yard and Union Station contrasted by lush, green courtyards and terraces. Jewel-toned fabrics are offset by natural walnut, marble and concrete over an expanse of 12,000 s/f. A gaming lounge, demonstration kitchen and human-scale terrarium are just a few of the unique amenities that set SH apart.